Trump Sells Tax-Cut Package to Hispanic Business Owners - Integration Through Media ....! 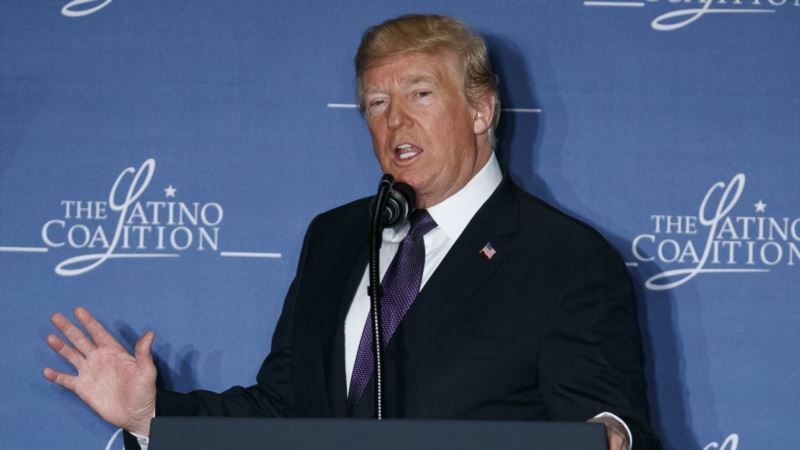 (VOA): President Donald Trump is selling Hispanic business owners on his new tax cuts. Trump is delivering the keynote address Wednesday at the annual legislative summit of the Latino Coalition. It's his first time addressing Hispanic business owners. The president says the $1.5 trillion package of tax cuts he signed late last year have finally given American business a "level playing field." He tells the Latino business owners that they'll "see more of this in the coming weeks." Trump highlighted administration efforts to eliminate regulations that many businesses find burdensome. Trump also touched on immigration. He blamed Democrats for failing to reach agreement with the White House on a plan to protect immigrants who were brought to the country illegally as children.